Until maybe 2 or 3 years ago, I failed to fully understand the complexity of student loan repayments. Lots of different options exist, some having very different tax and repayment ramifications. The below article deals with some but not all of these options. However, it is a good starting point. Over the next few months, many 2018 college graduates and their families will have to start making payments on student loans. Graduates are typically given a six-month grace period to find a job and start earning income, meaning the bill is coming due for many of them beginning in November. With that in mind, here are some of the biggest mistakes parents and students make with student-loan repayment—and how to avoid them. While students are in school and during the grace period before repayments are due, it can be easy for students and families to lose sight of who they owe, how much they owe and when they owe it—especially if they have taken out a combination of federal and private student loans over several years. A 2017 survey of 1,040 college students by College Ave Student Loans, a private student-loan provider, found that 35% of seniors were unsure how much they would owe on their coming monthly student-loan bill. This can lead to issues with repayment and budgeting, experts say. To avoid confusion—and late payments—students are advised to make a list of all their loans and loan servicers, keeping in mind that the company that provided the loan may not be the same company servicing the loan. Students should then create a simple spreadsheet with basic information such as each servicer’s name, address, phone number and website, says Tori Berube, vice president of college planning and community engagement at the NHHEAF Network Organizations, which helps New Hampshire families plan and pay for college. The spreadsheet also should list when each loan payment is due and the amounts of the respective payments, Ms. Berube says. Federal and private student-loan servicers contact borrowers directly with loan and payment information, but families sometimes miss or misplace these communications. Families may have to do some legwork to be sure they have properly accounted for all borrowed funds, experts say. For information on federal-loan servicers and loans, families can visit nslds.ed.gov, click on Financial Aid Review, and log in with the username and password they created when they first applied for financial aid. For information about private loans, students can reach out directly to their loan company or to their school’s financial-aid office if they are aren’t sure which company to contact. Students also can request a free copy of their credit report, which lists all outstanding loans, Ms. Berube says. They can get a free copy of their credit report every 12 months from each of the three credit-reporting companies via annualcreditreport.com. Many students list their parents’ address or a school email as part of their contact information for student loans. But when they move or change email addresses—as students often do after graduation—they sometimes forget to tell their loan servicers. If students and families don’t report contact-information changes to their loan servicers, they risk missing important communications about their monthly payments, which increases the likelihood that they will fall behind on payments, says Elaine Rubin, a communications specialist at Edvisors, a provider of free information on paying for college and financial aid. Once that happens, it can be hard to catch up, she says. It’s also important for students to notify their loan servicers if they return to school at least half time, because their loans, in most cases, will be eligible for a deferment, Ms. Berube says. Families don’t always take advantage of opportunities to pay down student debt sooner—even though doing so would result in them paying less overall, experts say. There are a number of ways students and families can save on student loans. For instance, they may receive interest-rate incentives for enrollment in automated-payment plans, says Melissa Shoemaker, customer experience manager of strategy and planning at the Pennsylvania Higher Education Assistance Agency, a national provider of student financial-aid services. Students also could pay more on their loans than is owed each month—with special focus on paying down loans with the highest interest rates or balances—by rounding up their monthly payment, applying large sums of money such as tax refunds when they can or paying half the amount twice monthly so the borrower effectively makes 13 monthly payments a year instead of 12, Ms. Shoemaker says. Doing so would reduce the amount of interest they pay overall. Students and families who are struggling financially don’t always ask for help when they need it. That can be a critical mistake, experts say, because delinquency can lead to default. Students who can’t afford to make payments, or who want to know what their options are should that ever happen, should contact their loan servicer, says Rick Castellano, a spokesman for Sallie Mae, a private student-loan provider. 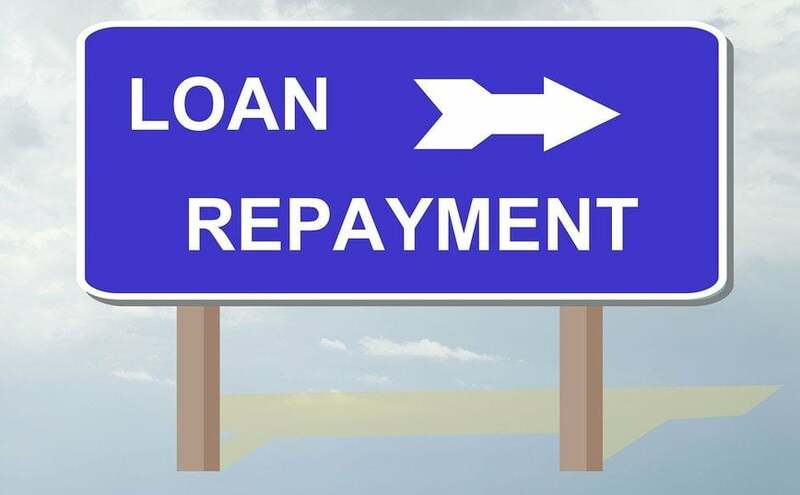 Loan servicers may be able to offer a temporary interest-rate reduction, he says, or provide information on income-driven repayment plans or loan consolidation. “Students and their families should understand that there are resources available to help through their struggles,” Mr. Castellano says. In recent years, federal and state regulators have cracked down on student-loan debt-relief scams, but bad apples persist and consumers need to recognize warning signs. Experts advise students to steer clear of any company that changes an upfront fee to purportedly lower their debt or forgive it quickly. Students and families also should be wary of companies that call or email out of the blue, claiming to be associated with the government or a loan servicer. They should never give out sensitive personal information such as their Federal Student Aid—or FSA—ID to a third party; that’s an automatic red flag that something is amiss, says Ms. Rubin of Edvisors. “You don’t have to pay for help to lower your monthly payments, consolidate your loans or understand your options for loan forgiveness,” she says. Students and families can review their federal student-loan repayment options at StudentAid.gov/repay. For private student loans, they should contact the loan servicer directly. There is no cost for these services. If a third party is offering a debt-relief opportunity that sounds too good to be true, it probably is, Ms. Rubin says. Ms. Winokur Munk is a writer in West Orange, N.J. She can be reached at reports@wsj.com.